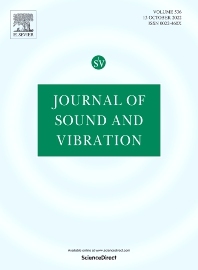 The Journal of Sound and Vibration (JSV) is an independent journal devoted to the prompt publication of original papers, both theoretical and experimental, that provide new information on any aspect of sound or vibration. There is an emphasis on fundamental work that has potential for practical application. JSV was founded and operates on the premise that the subject of sound and vibration requires a journal that publishes papers of a high technical standard across the various subdisciplines, thus facilitating awareness of techniques and discoveries in one area that may be applicable in others. For more detail on subject categories represented in JSV, visit JSV categories.